The Phillipe Table Lamp offers a classic design that suits most living spaces and available in black with antique brass and white with chrome. 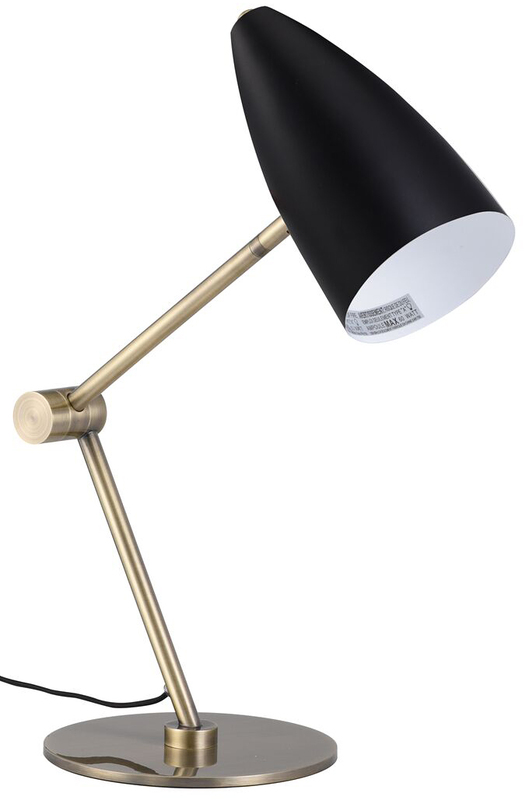 Phillipe is well-made using a solid metal frame with a steel lampshade. This lamp uses 1 E26 medium base, Max 60W bulb and comes with a 70¾ extension cord.